e kit did make for some interesting conversations about crystal structures and we spent one evening researching this on the computer and looking at salt and sugar under the microscope. Now the boys are at school I think this will get a lot more play as it is something they can start after school and continue with the next day. As a family we LOVED this kit. It costs £27 from Hobby Craft, but is jam packed with things to do, games to play and experiments, such as building your own stethoscope and finding out about finger prints. It really tapped in to the boys imagination at 7 and 8. I think it was perfectly pitched for their age range. The kit is full of primary coloured based kit and is really engaging. It is not something you have to spend hours with all at once, as it is broken down in to different sections and covers the five senses. This has been returned to again and again over the summer and we still have more to do and use, plus it comes with a 48 page book. A super buy. This came in to its own on one of our many long road trips. 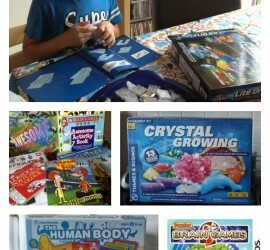 It is perfect for all ages and both the boys, their cousin and the Frugals played with it. At under £12 it is a great value game for any DS owner. 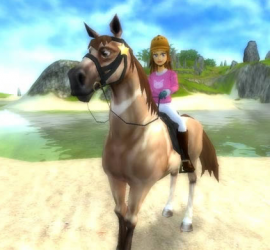 Rather than use it in main game mode, which is a 90 tournament designed to improve your brain, they played it in practice mode, which is more like accessing mini games. The 20 puzzles are based on training 4 different brain function categories – Visual, Word, Mathematical and Memory. During all thge time it was played over the summer the boys never had the same content twice, which was pretty impressive. 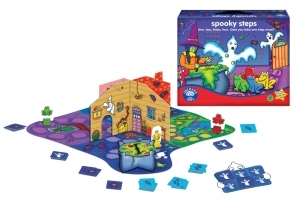 We were recently sent Spooky Steps, which is a fun game for 4 to 12 year olds and focusses on maths skills. It costs £14.99. The boys both loved this and built it and played independently without any input at all from me and MadDad. The instructions were clear and concise and they loved the 3D effect of the game board. The quality of the materials is really obvious and although it has been played with extensively it does not yet show any signs of wear. The object of the game is to creep through the spooky house to reach the cauldron and break the witch’s spell. It encourages math skills, but also adds chance to the game, so evening out any age differences in players. 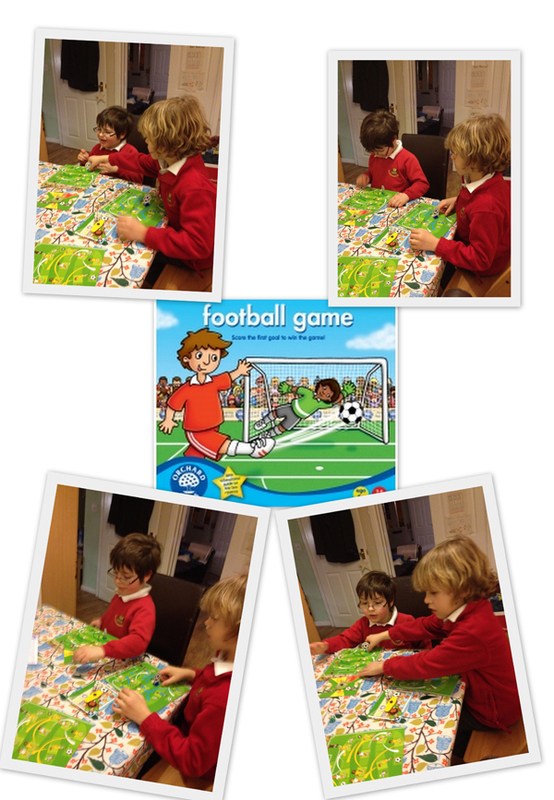 As a parent this game was a real hit as it meant that the boys were using mathematics in a meaningful context without even realising that maths were involved. This is the joy of Orchard Toys. If your child means a little encouragement in a specific area you can focus on it without them even noticing and it makes learning a fun experience through play. 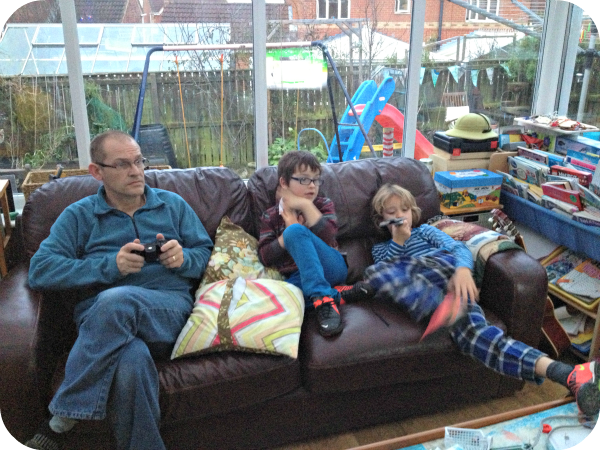 The boys do not fight when playing Skylanders together. Although there is a lot of “battling” in the game, this does not creep out in to real life like it can in some games with the boys. It is a pretty social game. 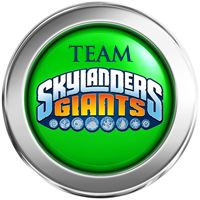 They can share their figures with friends that also have Skylanders, even if they use a different games platform as the figures are universal. Maxi loves the Mini games. Even if you do not have extra figures you can still play a lot of the game. No more worries about what birthday present to buy as it seems all the children play Skylanders, so a character is a great present. It can be hard for an adult to get their head around. I initially thought that we had to but the other 48 figures to be able to play all the game. A) The 12, 16 and 18 ratings are legally enforceable for retailers – 3 and 7 are advisory only.